We. Are. So. Darn. Close. Every system is fully designed (with the exception of one bug in the RC Claw system). 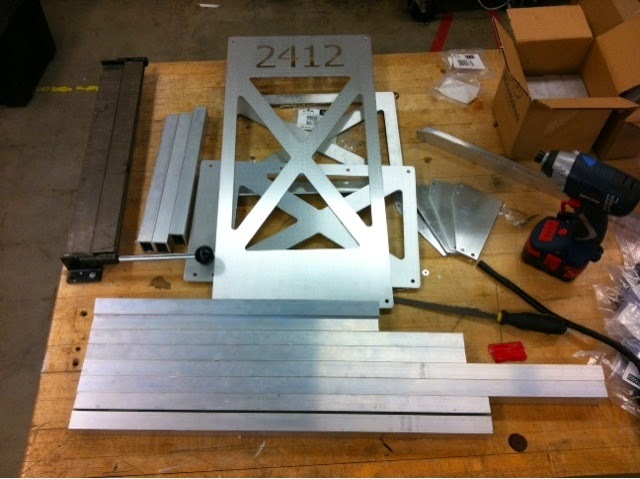 Elevator: Fully designed (finally) and working with Intellectual Ventures to get a myriad of parts made. Note the interesting capitalization choices. Gripper arm: all parts are in the shop. Assembly is underway an the team is expected to finish by the end of Friday. RC claw: some parts are machined, a problem was found at the end of yesterday with the mounting mechanisms, and due to lack of personnel today, that problem will be solve tomorrow and machining will finish by the end of the week. 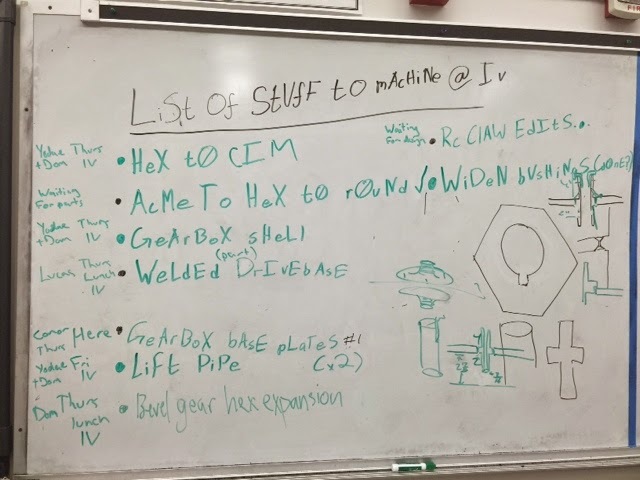 Roller intake: they have all of their parts ready to go once the drive base is complete, currently the lead is helping other teams an 3D modeling a mini robot. Mini robot: It is sort of adorable, pictures will show up after we 3d print it. After the success of last year's, we knew we wanted to make one this year, and this time, it should emerge less broken. We know what we are going to do and where we are going to get them from. They will be red screen-printed polo shirts. 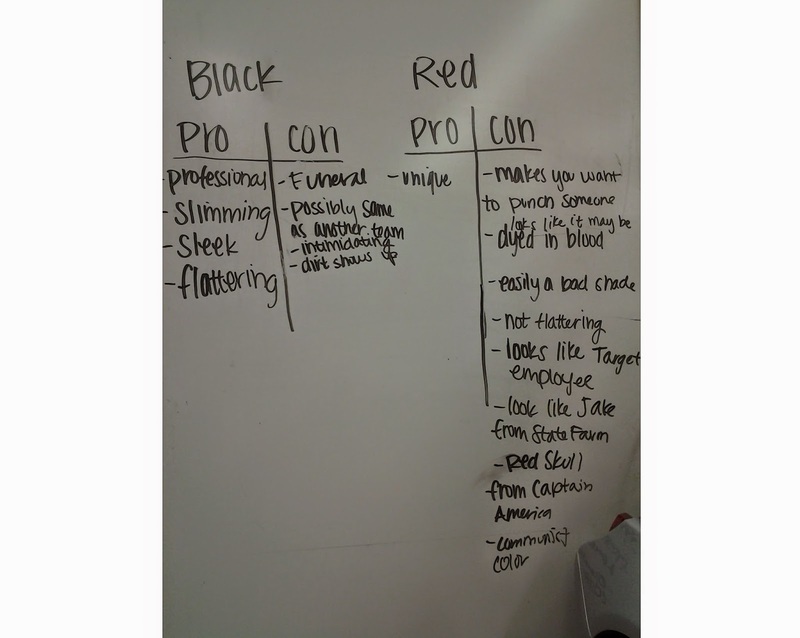 There was some debate whether the shirts should be red or black, but the votes for red were near unanimous. Were in the final stretch and it looks like well be able to finish with time for our programmers to test.